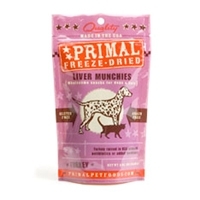 Primal Turkey Liver Munchies 2 oz. Turkey raised in the United States without antibiotics or added hormones. Single-source protein. Healthy treats for dogs and cats. High-protein snack. No preservatives. Grain and gluten free. No added salt or sugar. 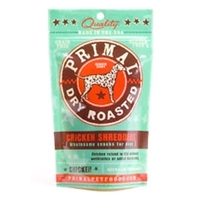 Primal Chicken Breast Shredders 4 oz. Chicken raised in the United States without antibiotics or added hormones. Single-source protein. Healthy treats for dogs. High-protein snack. No preservatives. Grain and gluten free. No added salt or sugar. 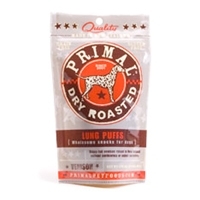 Primal Venison Lung Puffs 1.75 oz. Venison raised in New Zealand without antibiotics or added hormones. Single-source protein. Healthy treats for dogs. High-protein snack. No preservatives. Grain and gluten free. No added salt or sugar. 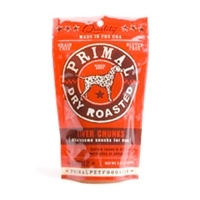 Primal Buffalo Liver Chunks 5 oz. Buffalo raised in the United States without antibiotics or added hormones. Single-source protein. Healthy treats for dogs. High-protein snack. No preservatives. Grain and gluten free. No added salt or sugar. 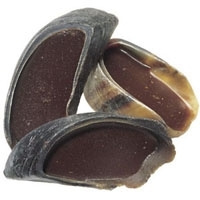 Natural cow hooves are cleaned, trimmed and stuffed with tasty fillings. 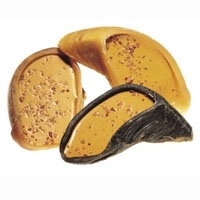 Filled Cow Hooves are a treat that is irresistible and highly palatable! 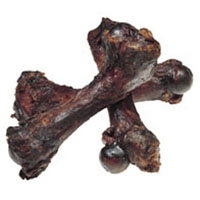 This meaty pork femur bone is a delicious way to satisfy your dog’s need to chew. Ham Bones are most suited to smaller breeds and are individually shrink-wrapped and UPC coded for your convenience. 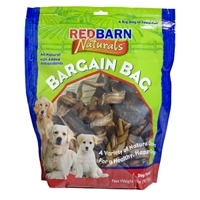 Red Barn Natural Bargain Bag 2 lb. At Redbarn, we love dogs- Naturally! The Bargain Bag is a hand picked selection of our favorite, best selling, all natural treats for your dog to enjoy. 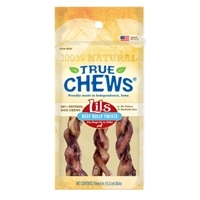 These chews are roasted in their natural juices to enhance the flavors dogs love best. No additives, no preservatives, no artificial flavors! 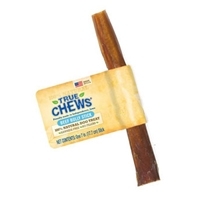 True Chews® Beef Bully Sticks are 100% natural, rawhide-free dog chews. Your dog will love our beef bully sticks because they’re slow-roasted to lock in their natural flavor and chewiness. 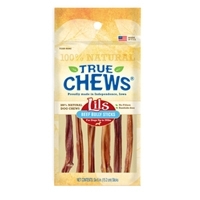 Our True Chews® Pig Ear and Beef Bully Stick Sampler gives your dog the opportunity to try two of our favorite chews.